Months ago, I was asked to represent the non-profit I work for a Veterans’ Day event in Dallas. Though I have spoken for Folds of Honor, a 501c3 committed to educating the legacy of our nation’s fallen and wounded military families, www.foldsofhonor.org hundreds of times before and have represented the military at events more times than I count, I knew this one was going to be special. I had no idea just how special though. American Airlines and Airpower Foundation put on Sky Ball every year. I’d heard it was a pretty remarkable evening highlighting our nation’s veterans. That was an understatement. The venue was an enormous hanger at DFW Airport. The guests included war heroes, celebrities, locals, veterans - no less than 3000 people in their finest ball gowns, tuxedos, military uniforms. Seventeen Medal of Honor winners were present. Each table was exploding with red, white and blue. The newest American Airliner, a 737 Max, was available to tour at one end of the colossal room. The video screen behind the massive stage was no less than 250 feet by 30 feet. I have spoken so many times that I really don’t get nervous anymore. But I have to say this was the mother of all events I had ever been a part of! What an honor to also sit with our dear friends, Courtney and Ron DeFeo and Rachel and Rod Brown because who doesn’t want their girlfriends there for moral support?! I said a quick silent prayer once in the bathroom and once right before I stepped onto the grand stage. Behind the podium was little ole me, with some mega bright white lights shining in my eyes and the massive screen behind me. Photos of my family flashed as I read the speech I had worked so hard on. My time limit was only a handful of minutes so I knew each word had to count. The Lord gave me the words and gave me the platform. All He asked me to do was show up. That’s really all he asks of any of us, isn’t it? Show up and let Him shine through us. The only way our country will find hope and a future is to honor God and not forget the past. I thought those of you that weren’t there might appreciate being able to hear my speech. It was surreal to pour a little piece of my heart out right there in front of 3000 strangers. But what an honor to be able to share how much I love Troy Gilbert, our country, my husband now, Jim Ravella, our family, our nation, it’s military, Folds of Honor and the work that we get to do helping others. I consider it one of my life’s greatest blessings and privileges to have married two men who wore the uniform. Serving alongside them has changed me for the better. At the end of this post there is a link to the actual video if you’d like to watch instead it. Or see below for a copy of my speech if you’re in Starbucks right now and forgot your headphones. Either way, thanks to everyone who remembered to thank a veteran last week! And as we approach the holidays, please continue to think of them. Many are deployed in harms’ way and will be missing Thanksgiving and Christmas with those they love. Many, like us, will have an empty chair at the table and a longing that never goes away. If you’d like to know more about our story - Jim and I would love to encourage anyone on the path from pain to healing. Our story is definitely one of hope. Hope Found. Good evening. My name is Ginger Gilbert Ravella. 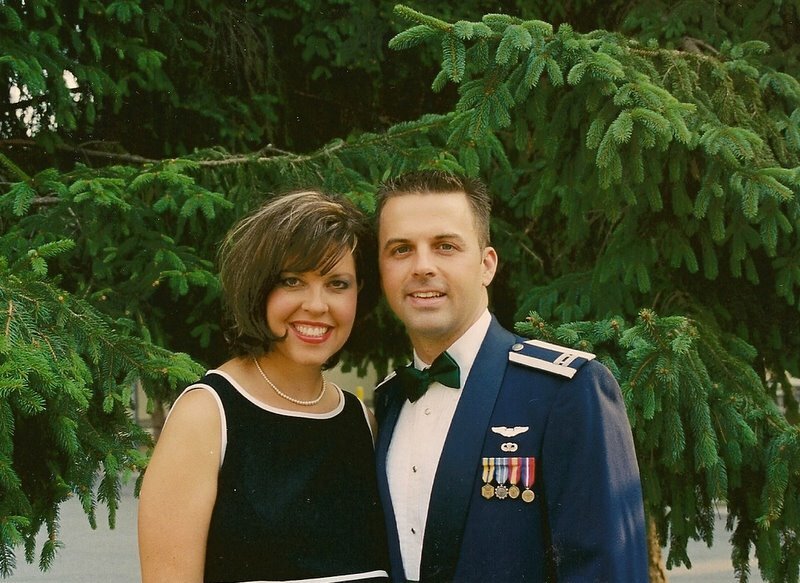 For the very brief time I have before you tonight, I would like to be a small window into the living room of a fallen military family.My college sweetheart, Troy Gilbert, became my husband, father of our five children, a US Air Force F-16 pilot and ultimately, a war hero. On the morning of November 27, 2006 Troy had been deployed for 3.5 months to support Operation Iraqi Freedom, I was back home in AZ with our kids ages 9, 6, 3 and 9 month-old twins. There was a knock at the front door and I remember it as the moment before our lives changed forever. 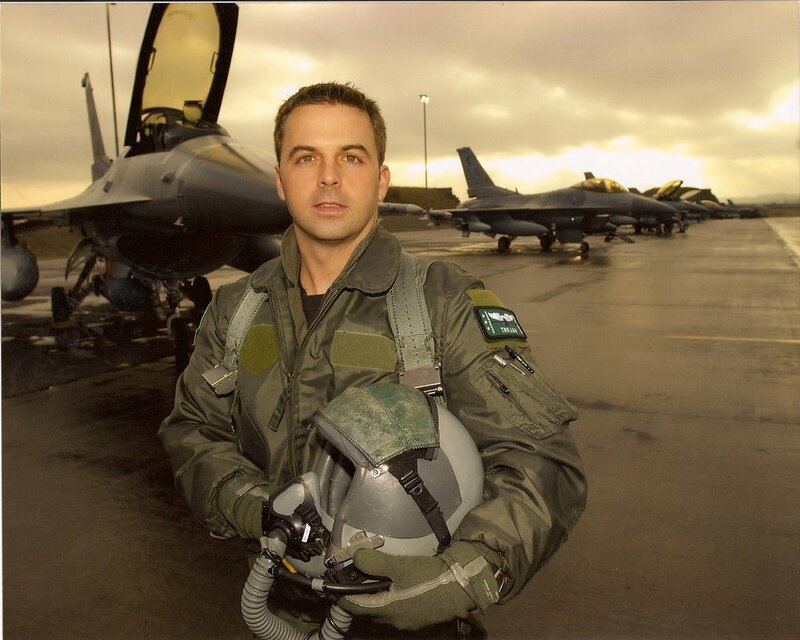 Troy and his F-16 had gone down in one of the most heroic and historic missions of OIF. He saved over 60 soldiers and special operators. They all went home to their wives and children because Troy made the selfless choice. The 15 Iraqi insurgents, early ISIS members, that Troy killed just seconds before he crashed, wouldn’t be so lucky. I received a letter from the one of the special operators stating that though he would never know my husband, he sensed his strength of character, putting his life on the line in their defense. Then he wrote something I would never forget. He said “Major Gilbert did not loiter at high altitudes but came in guns engaged, full force, ready to help those of us who so desperately needed him.” Those words would come to mean more to me as the years went on. Overnight, at the age of 36, I became a war widow and my children fatherless. But the nightmare would not end there. I would learn later that day that Troy’s lifeless body was taken by enemy insurgents. My college sweetheart would become their wartime trophy. A small amount of DNA found at the crash site confirmed he had been killed upon impact. I knew then, that as a faithful follower of Christ, he was Home with the Lord. There would be peace in that. Yet, in sorrow, I was left to raise the kids and go on without him and our private pain became front-page CNN news. I was utterly devastated, yet had no choice but to carry on. 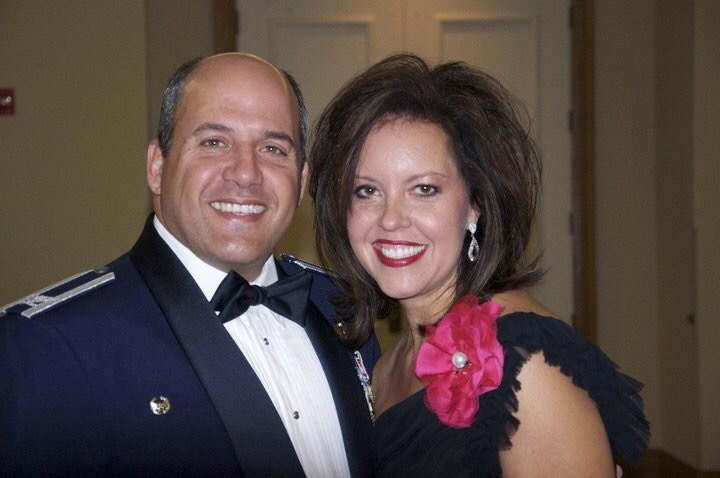 A year and half later I would meet and marry another widower – surprisingly another AF fighter pilot, Colonel Jim Ravella. I attribute this to watching too much Top Gun in the 8th grade. Jim lost his wife to breast cancer and was left to raise their two boys alone. We became quite the modern-day Brady Bunch. Folds of Honor also came into my life about that time and began assisting my children with their education. 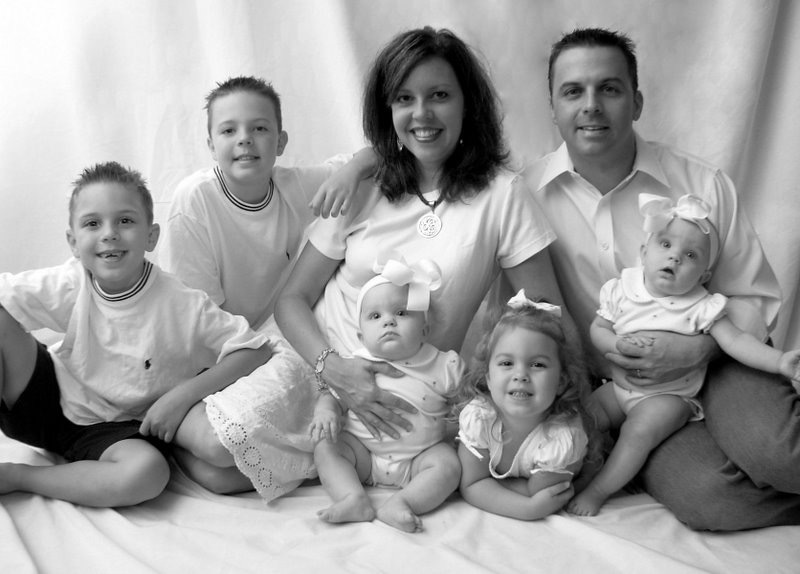 Those five little kids of mine are now growing up. My oldest son is a sophomore here at SMU, playing on their men’s soccer team. My other four, now ages 17-11, are in a small Christian college prep school in San Antonio. Troy’s legacy of selfless service lives on in them. Kids like mine are our nation’s brightest future, alongside 1 million other children from those killed or disabled in Iraq and Afghanistan. They are all overcomers. Last fall, after almost 10 years since Troy was killed, I got the news I prayed for Troy’s body was recovered in a dangerously covert special ops mission, where others would risk their lives for him. In fact, it would be the same unit that Troy saved that would eventually find him. That is the type of men and women who serve this nation - the 1% who are willing to sacrifice life and limb for the other 99% percent of us. What I want you to leave here with tonight is: you do not have to wear the uniform to serve your nation. You can serve your nation by serving those who defend and protect you. That red stripe on the American flag symbolizes the blood that was shed for freedom. It’s that flag that would cover Troy all the way home. It’s the flag we should all stand up for, no matter our beliefs or differences. Thank you to American Airlines and Airpower Foundation for your considerable donation to helping make that load a little lighter by supporting the Folds of Honor. God bless you and God bless America. LINK to watch the speech.